You’ll find other excellent, downloadable training targets on the U.S. Palma Team Website, www.uspalma.com. More than 50 free targets are offered, all in easy-printing .pdf format. Shown below is the “inside-out” fun target from the U.S. Palma Team site. 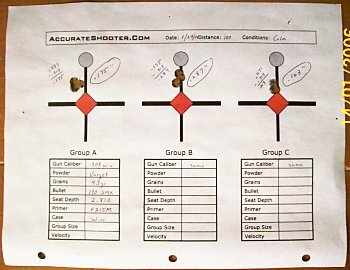 Share the post "Download our Free Targets"
Have you ever seen a 5mm Rem Rimfire put on a Ruger 77/22? What chance does a .20 Hornet have of being legitimatized? The only .17s I like are air rifles.